Purchase this product now and earn 300 Sheep for your Baa Baa Brighouse Shepherd Reward Scheme! 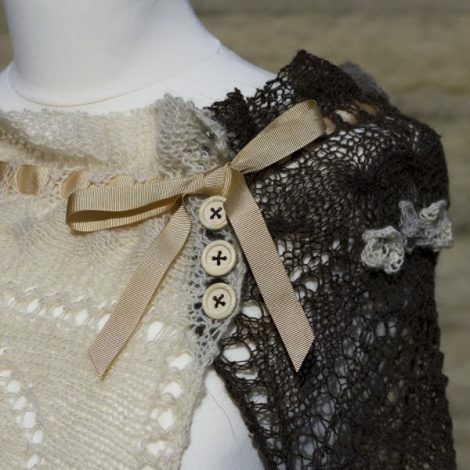 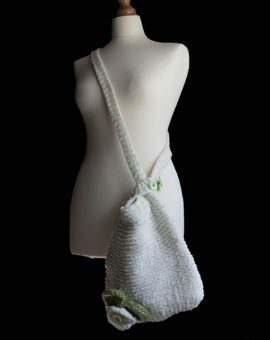 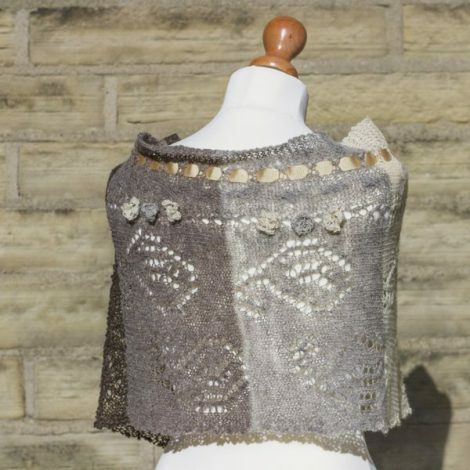 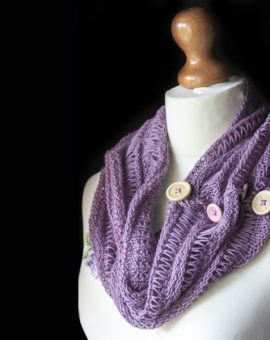 The Baa Baa Brighouse Naturals Wrap is inspired by the Muriel Paisley Capelet by Louisa Harding, which can be found in her fabulous book ‘Knits from an English Rose’. 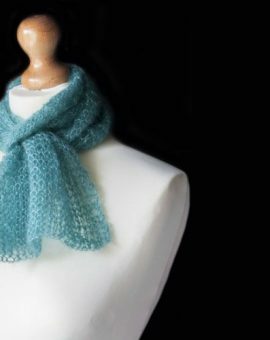 However, this version is knitting in four shades of Laura’s Loom Bluefaced Leicester wool. 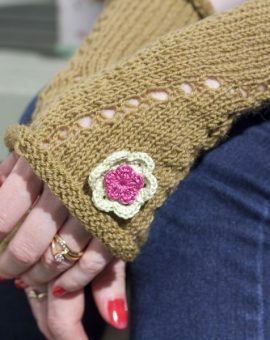 Decorated with delicate knitted flowers in contrasting colours and finished with a pale gold ribbon and three wooden buttons, this wrap is fine, soft, elegant and luxurious.